Traveling with a dog to San Diego makes for a truly memorable vacation. 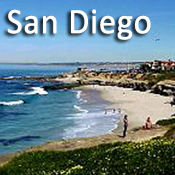 What could be more fun than exploring San Diego’s beautiful beaches, parks, hiking trails and restaurants? This city, where everyone seems to love the outdoors, is known for its many dog friendly places. You and your four-legged friend are sure to find plenty to do. First stop: Make sure to visit San Diego’s famous beaches. Ocean Beach has long been a favorite for pet owners, with plenty of sand where your dog can run off leash. This is a 24-hour dog friendly beach your dog will love. Second stop: Pet friendly parks and there are plenty. Our favorite off leash dog park that you won’t want to miss is Nate’s Point in Balboa Park. Dining also is easy when traveling with a dog to San Diego. The city has a huge assortment of restaurant styles that love pets. 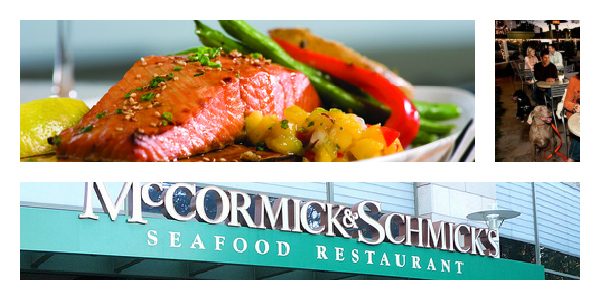 McCormick & Schmicks has a wonderful menu of fancy entrees and welcomes dining with your dogs out on the patio area. Terra Restaurant has delicious food featuring organic food while supporting local sustainable agriculture, and welcomes your pooch at the outdoor tables. Both restaurants feature seafood and many other entrees as well. On those occasions where you may want an evening of pet-free dining, there are plenty of doggie day care places that your pet will get lots of love and affection in and around San Diego. You and your furry friend can get great deals at a number of dog friendly hotels. One to check out would be the Hotel Solamar with its super pet friendly policy. Traveling with a dog to San Diego doesn’t need to cost extra when pets stay for free at this beautiful 4-star accommodation. You and your pooch may also enjoy the Doubletree Hotel north side of San Diego by Del Mar, or Marriott’s Residence Inn San Diego Central. To find everything you need, from pet friendly parks, to pet Expos in this exciting city, make sure to visit our San Diego Travel Guide - designed exclusively for pet owners that like to travel with pets. Remember, booking early is essential when traveling with pets. See what’s available today so you get the best deals. Start your search for pet friendly hotels in San Diego here. Then sit back and think of all the fun things you can do when you get there!